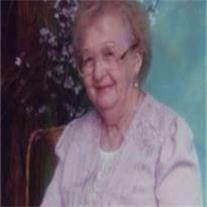 Melba Flake Pierce passed away January 10, 2013 at her home in Phoenix, AZ. She was preceded in death by her husband Loren Walter Pierce. She is survived by her daughters Lianne Thomson, Colleen Olsen, 13 grandchildren and 17 great-grandchildren. Funeral services are Saturday, Jan. 19, 2013 at the LDS Bethany Home Ward, 8710 N. 3rd Ave., Phoenix, 85021. Burial will be in the Snowflake Cemetery. Arrangements by Bunker’s Garden Chapel.